Every guest at Neptunes will receive FREE UNLIMITED INTERNET, with both kiosk and wifi available. 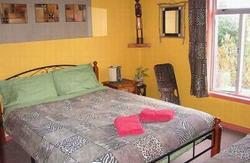 We offer spacious private, double and dorm rooms. Each bed comes complete with duvet, pillow, sheets, towel, soap, hot water bottle and each room has a heater to keep you warm during those cold winter months! FREE bakery goods at 5pm. Take advantage of our free pool table, dart board and board games. Enjoy a movie from our extensive DVD collection (over 500 to chose from!) in our DVD lounge with huge flat screen TV. Free drop offs/pick ups from the bus/train station. Relax in the evening in our large communal lounge complete with large TV and roaring coal fire. FREE breakfast in the winter! Large garden courtyard to enjoy the sunshine in the summer with BBQ free to use! FREE bikes to hire. We also cater for campervans and tents. And don't forget the FREE UNLIMITED INTERNET! Neptunes is located just 2 minutes from the centre of town. To reach us from the bus/train station, walk into the town centre on Mackay Street. Continue down Mackay Street for 200m past the shops until you reach the roundabout. 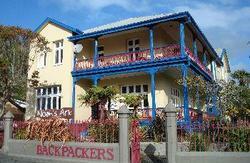 Past the roundabout turn onto Gresson |Street (where Super Liquor is) and 50m down is Neptunes Backpackers.